An SEO plugin is an interface that makes it easy for you to optimize your site for the search engines and is a must-have for your site. The All-In-One SEO plugin blends perfectly in your WordPress dashboard and is easy to use. 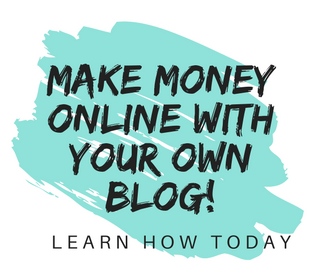 A premium version is available for a yearly fee, but I’ve found that the free version has everything that I need to adequately optimize my site. The All-In-One SEO plugin was the recommended one supplied by my website hosting service, Wealthy Affiliate, and it works great and is easy to use. Yoast is also another great SEO plugin that has wonderful features with their free version. This plugin adds a box at the end of every post with my picture and a short biography. I love the Author Bio Box because it saves me so much time by adding my information automatically and it lets my visitors know a little bit about who I am. This personal touch helps me engage better with them, and I believe, enhances my credibility. This is one of my absolute favorites and a must-have! When I read a blog post, I love having a table of contents so that I can scan what the article is about. But after trying to add one manually, I knew there had to be a better way! So I asked the Wealthy Affiliate community platform, and sure enough, several members recommended Easy Table of Contents. So now whenever someone clicks on one of my posts, this plugin pulls all the headings into a table of contents right below my introduction. It’s just that simple! One of the worst things that can happen on your website is when a visitor clicks on one of your links and gets an error message. Not only will you miss whatever sale that visitor may have given you, but it’s likely that you’ve lost any further engagement with them and anyone they may have recommended your site to. The Broken Link Checker plugin is invaluable to ensure that all the links on your site are working properly. If it detects any possible errors, you can review those links and re-enter them, if necessary. I know that this plugin enables me to give my readers the best possible experience on my site each and every time they visit! Have you ever waited for what seems like forever for a page to load? Most of the time, the images on a website are the reason that the page is loading slowly. Not only will you likely leave the site prematurely, but Google will penalize the site’s rankings for having slow loading pages. EWWW Image Optimizer is the answer and is easy to use and set up. It will convert your images to the best file format and compress and optimize the images for fast page loading. This will also save storage and bandwidth on your laptop. I consider this an absolute must-have plugin for my website! If you are comfortable inserting code into your theme’s editor, you could skip this plugin. But I’m not at all experienced at doing this and don’t like to mess with my theme’s coding. So I love having the plugin, Insert Headers and Footers! This is a simple interface where you can go to one place and insert any code and script, such as Google Analytics, custom CSS codes, Facebook Pixel code, and many others. One great example of how this plugin helped me was with setting up my SendPulse email marketing campaign. When I was trying to add a subscription form to pop up on my website for my visitors to download free eBooks, I was given the script to add to my site. This script wouldn’t work the way I had inserted other codes because it wasn’t in HTML format, and I did not want to try to edit my theme’s code. So I again turned to my Wealthy Affiliate training and found out about the Insert Headers and Footers plugin. It was a simple matter of putting the script into this plugin, and I had an opt in form on my site! Shortlink By Pretty Links is a plugin that allows you to shorten affiliate links using your own domain name. This allows your website to look cleaner and more professional. There is a pro version you can buy, but I’ve found that the free plugin works great for everything I need on my site. When you’re reading a post and you hover your cursor over a clickable affiliate link, the address for that link appears. It’s a code that has been assigned to that site owner and looks like a jumble of words, letters, and numbers that can make a visitor wonder what kind of site they’re being redirected to. Pretty Links will allow you to change what appears in the link to something clean and clear so your visitors will know exactly where they are being taken to. This is important in creating trust with your readers and showing that your site is professional. Another great feature of Pretty Links is it’s tracking service. Whenever someone clicks on one of the links, it is tracked by Pretty Links and shown in a report that details information about where it came from. Ultimate Social Media is another one of my favorite plugins and a must-have for me! You can find it under Social Icons Social Buttons, and it has been fantastic for me to start marketing my site on social media. I was never someone who spent a lot of time on social media. I enjoyed seeing the Facebook posts of the latest things my kids were doing, but that’s about it. 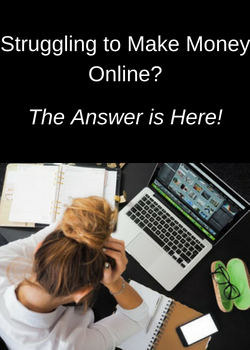 So when I was introduced in my training to the idea of expanding my online business with social media, I knew I had to find a plugin that was easy to use and understand. You’ll be able to customize the look of your icons, where they are displayed, what choices to give your visitors for each one, and to choose many other options. No matter whether you are experienced in social media or not, this plugin will be easy to use and provide you with everything you need! An ever-growing number of visitors to your site will come from mobile devices. But your website does not necessarily translate as well on those devices as they do on a desktop. This is where the plugin, Accelerated Mobile Pages, or AMP, will help. AMP gives you all kinds of ways to optimize your site to load faster and be more functional on cell phones and tablets. This allows those visitors to have a much more positive experience, and they will likely engage with your site much longer and convert better. There have been times that my analytics has shown well over 50% of my traffic coming from mobile devices. So I want to make sure I’m taking care of those visitors and enhancing their experience on my site. YASR is a great plugin for any site that features product or service reviews. There’s something about seeing a visual rating that makes it a better experience for your visitors, and it’s very effective! With YASR you can give a reviewer rating, visitor votes, and you can also rank different aspects of the product. It’s a powerful SEO tool, looks great on your review posts, and I love using this plugin on my site. 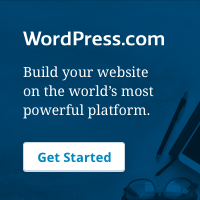 Ask any website owner which WordPress plugins they use on their site, and you’ll get a wide variety of answers. Everyone chooses which ones are right for their sites and their own capabilities. But one thing to keep in mind is that you can’t just add plugin after plugin to your site without experiencing some sort of slow down in the load speed of your pages. A good rule is to pick 5 must-have plugins that work the best for you and your site’s functionality. Then add others that you like one by one, checking your page load speed after each one is installed. 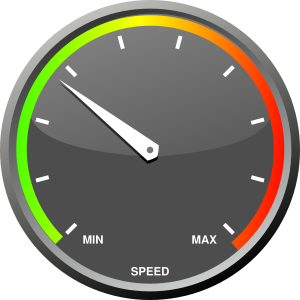 There are several sites where you can check your page speed, such as GTmetrix, WebPageTest, or Pingdom. I hope this overview of the WordPress plugins that I use has been helpful. Do you have others that are must-haves for your site? I’d love to hear about them in the comments below! I’m an aspiring blogger and since I’m not too familiar with the coding stuff, I have to use these plugins to have a better functionality of my blog. I have read other articles on “must-have WordPress plugins” but they provide lists of up to 25 plugins. Now for a beginner like me, that’s more information than I actually need since I have been advised not to use too many plugins on my site. I want to use the essential ones and from the ones you have listed, I’m already using All-In-One SEO plugin and the EWWW Image Optimizer. I had installed Pretty Links but had to deactivate it when I couldn’t really understand its purpose except for the redirects showing a momentary “professional-looking” URL before we land on the target page. But I would love to have Easy Table of Contents plugin. I have been looking for a plugin that gives a functionality as described there. Love this post. I’m glad you found it helpful! The Easy Table of contents is one of my must-have plugins, and I think you would really like it. If someone doesn’t want to read the whole article, they can skim the table of contents and stay on my site to read what they want. Once it’s installed with your settings, it will automatically load it every time a new post loads, there’s nothing else for you to do. Thank you for visiting my site! Plug-ins are always a hot topic with Affiliate marketers. All-In-One SEO has been a favorite of mine for a long time. I use a few others you have listed as well that have been integral to a smooth experience on my websites. The Broken Link Checker. Do you leave it on all the time or, do you enable it once a month (or, on any schedule) and, then disable it? Just curious as I try to keep my plug-ins to a minimum as well and as you so wisely suggested. I have my broken link checker on all the time because I think it’s crucial to know right away if there’s a problem. I didn’t see any noticeable difference in my load times when I installed it. Keep in mind that the quality of plugins is more important than the number of them. So if you find one that increases the functionality of your site without sacrificing good page load times, I wouldn’t worry about adding it just because you think you have too many! A fantastic list of plug-ins! I had already installed the Social Media plug in (so now I’m happy that I’ve chosen the right one). The broken link checker is definitely one that I will be installing, as well as the author bio box. I do agree that having some information about the author adds credibility to your site. Thanks for the great list! Hey Janelle, very cool plug ins you revealed here. As a relative newcomer to blogging I see a couple there I can relate to and will likely utilize the others as I learn more. Just one questions: Is there any fear that using these many plug ins on one blogging site will slow down the speed of the site and damage the user experience? Thanks for your reply. Cheers. Plugins can definitely slow down your page load times, so you have to be careful. But the quality of the plugin is much more important than how many you have. Check your page loading time before adding any plugin, and then check it again after it’s been installed. A quality plugin should only have a minimal impact and should always increase the functionality of your site for your visitors. If there’s too much slow down in your load times, I’d try and find another one or try to find another way to add that particular function to your site. Wow I saw all your list and I only have 2 of the plugins omg where have I been. I only have All in one SEO pack and the EWW Image optimizer. After reading this post I am going to my dashboard and install them right after this. Thank you for coming up with this amazing list to help a girl out. You are a life saver!! Glad I could help and wishing you every success in 2019! Motivation–I Learned A Lesson From This Little Girl!